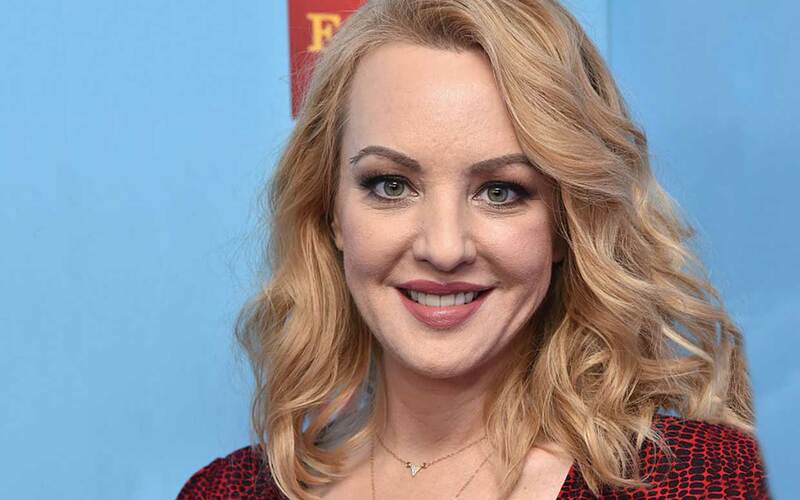 Funny-woman Wendi McLendon-Covey, known best for Bridesmaidsand sitcom The Goldbergs, stars in an outlandish new comedy about an unemployed alcoholic handyman who sets off on an ill-conceived mission to capture Osama bin Laden. Army of One, also starring Nicholas Cage, Russell Brand and more, is a story based on the true life of one Gary Faulkner. The film follows Cage, as Faulkner, on what he believes to be a God-sent quest to Pakistan in search of the terrorist. McLendon-Covey plays Marci Mitchell, a lonely woman who is the primary caregiver of her special-needs niece, and takes unexpected comfort in Faulkner’s zany antics. Parade.com talked with McLendon-Covey on working in comedy, her connections with Cage and which Army of One scene she hopes viewers will get to see. What is your character, Marci Mitchell, like? Marci is someone who’s a little lonely, and who just needs somebody. Luckily, Gary [Faulkner] gets along very well with her special-needs niece, who she’s taking care of after [the niece’s] mom passes away. The niece and Gary have a special bond that kind of endears Marci to him, and makes her let things go on a little longer than they should, because [the niece] is a hard kid to reach and for them to have that bond is great. She knows that for herself, this relationship is not going to work out, but she just loves seeing the two of them together. So that’s why Marci keeps letting Gary come back, even though he’s a total idiot. Did you connect this well with Nicholas Cage in real life? I met Nick at the very end of shooting, so he had already been to Morocco [where the movie was filmed] for months. We shot all the emotional stuff at the very end. Poor Nick had been living as this character for so long, and I just knew he wanted to shake it off. I felt like I should just let him stay in character. This was the home stretch, so I wasn’t going to try to chat him up. We did talk a little bit though, and we discovered that his childhood home is not far from where I now live. I know the exact street, so that was a trip! I know his elementary school too—that was kind of mind blowing. What did you like most about working with director Larry Charles? Larry doesn’t waste any time. We don’t have a lot of time to sit between takes, and he just kept it going. I really appreciated that about him. The cast is stacked with talent—Nicholas Cage, Russell Brand, Rainn Wilson, Paul Scheer and Will Sasso all appear in the film. Did you enjoy acting alongside them? I didn’t get to work with Rainn [Wilson], because he just worked in Morocco and I didn’t go to morocco. I also didn’t get to work with Russell [Brand] unfortunately, because he had a very short time span so they had to shoot all his scenes at once and my character just wasn’t there. But I got to work with Paul Scheer and Will Sasso. The cast is so great I knew that if we had to do improv, it would be great because these are all great improvisers. Did you improv any of your scenes? A lot of them! The words were written there, but sometimes it just feels fresher if you improvise your lines. There were some scenes that were completely improvised. One scene in particular, I don’t know if it made it in [the final cut], but I hope it did. Me and Nick are having a fight outside a Chinese restaurant, and it was in kind of a dicey neighborhood. He didn’t look like Nicholas Cage and we’re just arguing and we’re fighting and people are walking by like, “Who are these two people fighting? What the hell is going on?” I’m screaming and I finally just walk off and walk down the street, and this woman said to me, “Hey, good for you! You stood up for yourself!” I was like, “Oh thanks, thank you ma’am.” [Laughs]. So I took that as a compliment. At least it looked real! You work a lot in comedy—is that where you feel most at home? Lately I’ve done some more drama, although I do love doing comedy. But, what I want to do is just whatever feels the most truthful. If it’s comedy, I at least want people to buy it. I want them to forget who they’re watching. That’s my goal for comedy or drama—for people to forget who they’re watching and just get absorbed in the story. If this were real life and you actually knew Gary Faulkner, how would you respond to his crazy plan of action? That seems like the smarter option—should Marci have reacted that way? Did you get to meet the real Gary Faulkner? No. I know that Nick and Larry [Charles] spent quite a bit of time with him, and listened to those stories over and over. The thing that seemed interesting about [Faulkner] is that he will not just answer a question directly. Every question you ask him has a lengthy answer, so it’s almost like he’s trying to convince himself of what he’s telling you and covering his tracks. In a way I wanted to meet him, but in a way it’s probably best that he didn’t come to the set. He probably would have been very distracting.